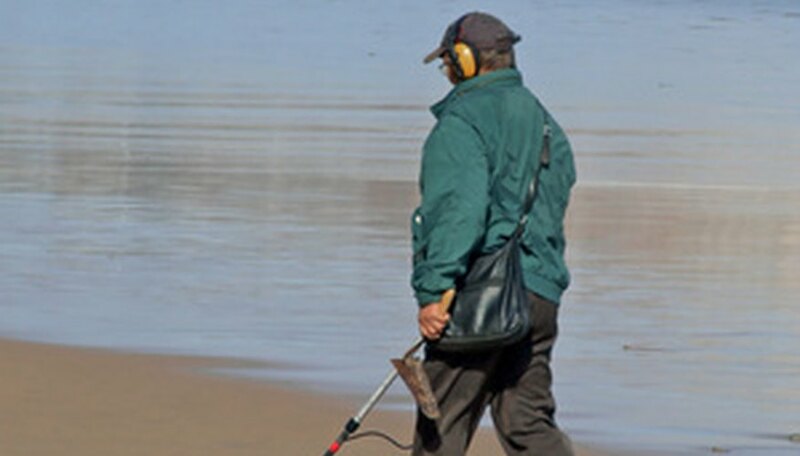 The laws that influence metal detector enthusiasts are the same as those that affect other treasure hunters, rock hounds and history buffs. The American Antiquities Act and The Archaeological Resources Protection Act are federal laws that were created to protect history and make it illegal in almost all cases to metal detect on federal land. State laws vary from state to state; however, those allowing metal detecting on state property require a permit. The American Antiquities Act of 1906 was written before metal detectors existed; however, the law still exists and states that it is illegal to “appropriate, excavate, injure or destroy any historic or prehistoric ruin or monument, or any object of antiquity situated on lands owned or controlled by the Government of the United States." The Archaeological Resources Protection Act of 1979 defines an “archaeological resource” to include “weapons, projectiles and tools.” This law makes it illegal to pick up, disturb, or dig up any artifacts that are more than 100 years old on federal property. Metal detecting, collecting or digging on 34 state properties requires a permit, and 16 states do not allow recreational metal detecting on state property. The 34 states that allow metal detecting on state property have additional limitations within state park boundaries. Always check with the park ranger and obtain a permit. Other state properties may include wildlife management areas, state highways, navigable rivers, and--for states bordering the ocean--areas up to three miles offshore. To metal detect on private property, you need only have the landowner’s permission. It does not violate any federal laws to surface collect artifacts if you have the owner’s permission. If digging and artifacts is the direction your metal detecting takes you, most states require written notification of any excavating. It is unlawful to dig up or possess a human body knowingly from a grave, including Civil War sites. The U.S. Forest Service developed the “Passport in Time” program where civilian volunteers can work with professional archaeologists and historians on federal lands throughout the United States on their many projects including historic structure restoration, analysis and curation of artifacts and archaeological survey and excavation. “The Forest Service professional staff of archaeologists and historians will be your hosts, guides, and co-workers,” states the official website. Metal detectors are often used extensively to locate and record artifacts, determine routes and document structures on these projects, making it a good opportunity for a metal detector enthusiast to hunt on federal land. Federation of Metal Detector and Archaeological Clubs Inc.
Are There Any Rules for Metal Detector Use in North Carolina?